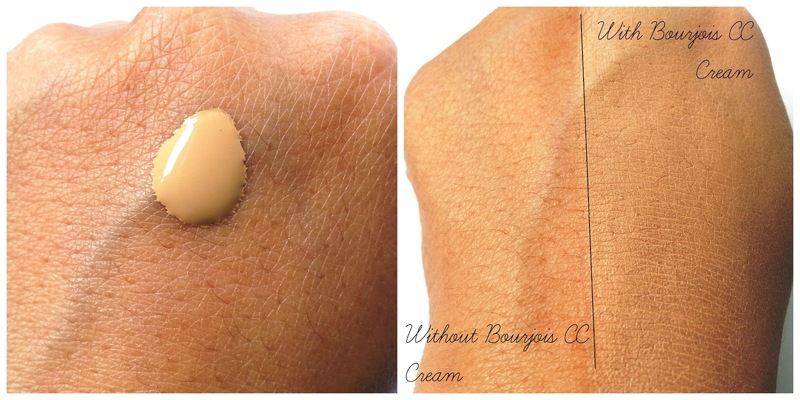 I've promised you guys with product review from Bourjois, so here I am going to review Bourjois 123 Perfect CC Cream. After I think about it, this is the first CC cream I've tried. I was clueless about the difference between CC cream and BB cream before but after I've read on the Internet, basically CC (color correcting) cream is a product that is meant to address problem such as redness or sallowness on the skin, while BB cream is like lighter foundation which formulated with skincare. So back to Bourjois 123 Perfect CC Cream, I got this product from Beauty Blogger Gathering with Bourjois. This product claimed to be formulated with 3 color correcting pigments that gives a fresh and luminous result with SPF 15 and 24 hour hydration.Apricot for anti-fatigue. Green for anti-redness. White for anti-dark spots. Its lightweight texture easily glides onto your skin for a smooth application. This product sounds promising, don't you think? 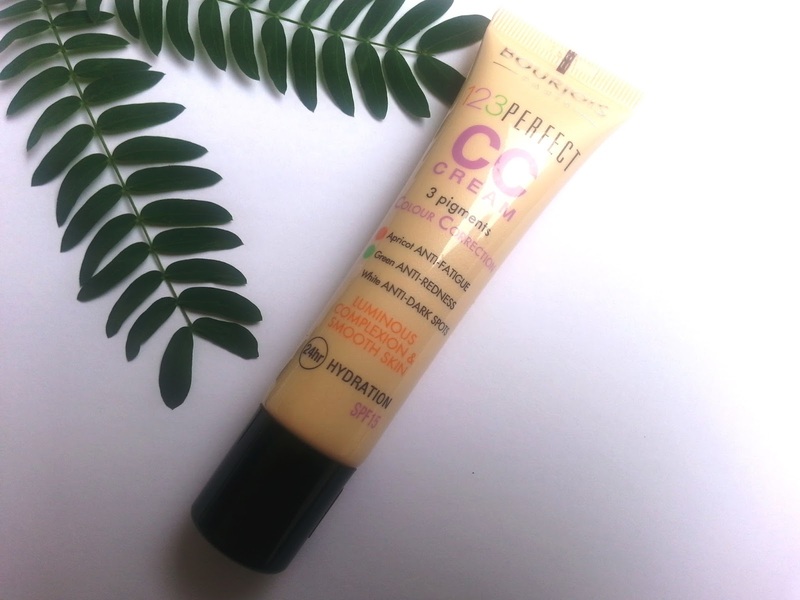 Bourjois 123 Perfect CC Cream comes with eye cream product, which has been reviewed by my fellow blogger, Vani Sagita. You can read the review all here. I love the packaging of Bourjois CC Cream. It's tube shade, with screw cap on top. It's a longer packaging but also much slimmer compare to my other foundations I have. It's plastic material so it wont break, which means it's also travel-friendly. The problem occurs when we open the lid, since it's not pumped, the formula tends to leak out from the nozzle. Many times I found myself have to wipe off the excess liquid from the nozzle and the cap to keep them clean. Other than that, I think the packaging is great, and doesn't take too much space in my make up pouch. Sadly, this CC cream only available in 4 colors. Ivory, Light Beige, Rose Beige, and Bronze. The one that I have is Rose Beige, which is the second darkest shade available. Initially, I thought it was too white for my medium tan skin. But surprisingly, after 15-20 mints, the color starts to blend with my skintone. You can see from the picture below, there's no drastic grey-ness detected from my face after the application. So if you have similar skintone with me, I am confident that you can pull off this shade (Rose Beige) as well, if you are darker, I think Bronze will suit you perfectly. I always shake the tube before I use it. I do that so the oil and other formula are mixing well together. When i dispensed it at the back of my hand, I can see that the consistency is liquidy, very light and tends to run. With that being said, this product is easy to blend with fingers, brush or sponge. From my experience it takes a while for the product to sets on my face. I touched my face right after I applied this product, and it felt a bit sticky and not fully matte. But it doesn't bother me much since I can cover it finishing powder. 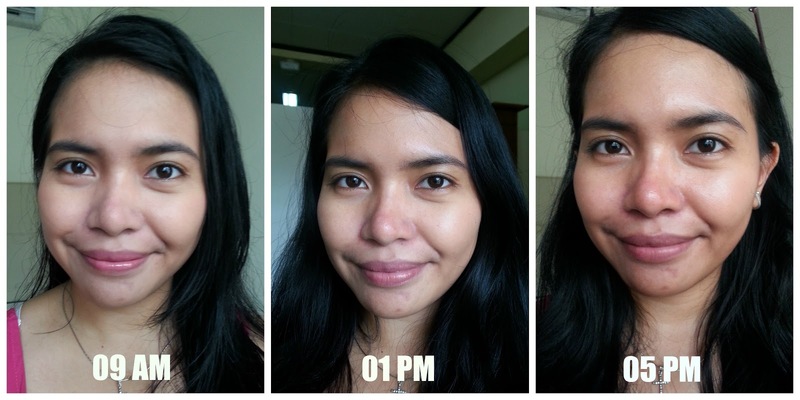 After I finish applied the foundation, I could see a hint of glowing effect on my face. This product wont give you a matte effect if you are looking for one. 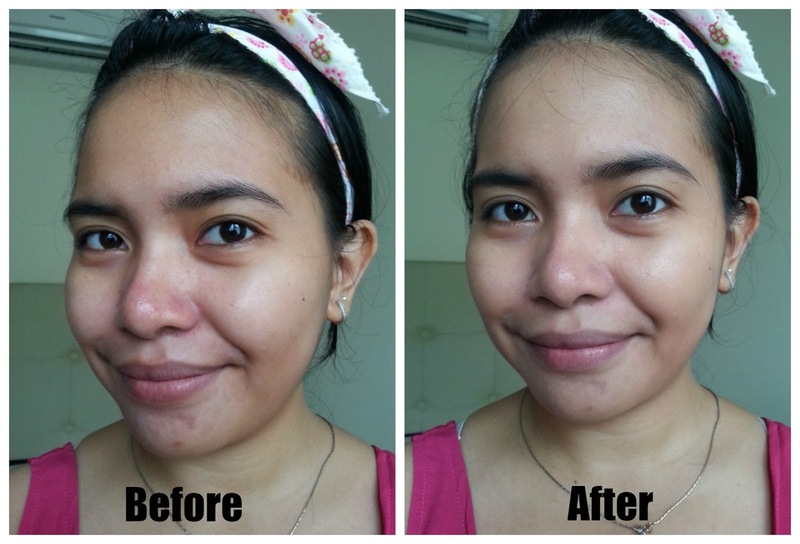 But at the same time, it does the job to hide redness around my nose area and to even out my skintone. For a note, this product doesn't have a full coverage to cover your hyperpigmentation, as you can see from my picture below, my dark spot on my chin is not concealed completely.